Sarolea isn't the only historical motorcycle brand being revived for the electric age, Spain's Bultaco Motors is relaunching as an electric motorcycle company. The brand has a strong history dating back to 1958, and had many racing wins to its credit. However, the company had shut down until the Bulto family met LGN Tech Design, a Spanish firm working on mechanical and electronic designs and who had raced in the 2011 e-Power season. 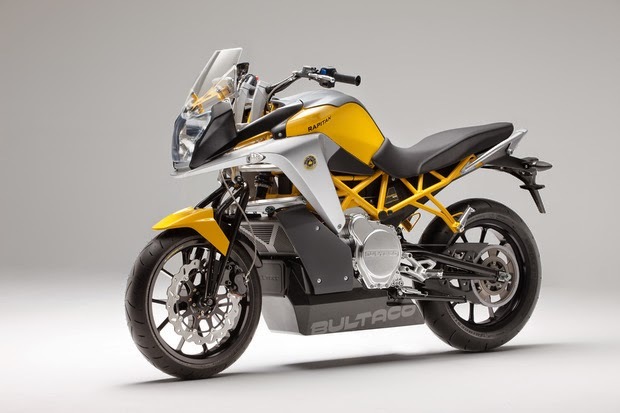 From that meeting the Bulto family decided to relaunch Bultaco Motors using LGN's electric motorcycle expertise. 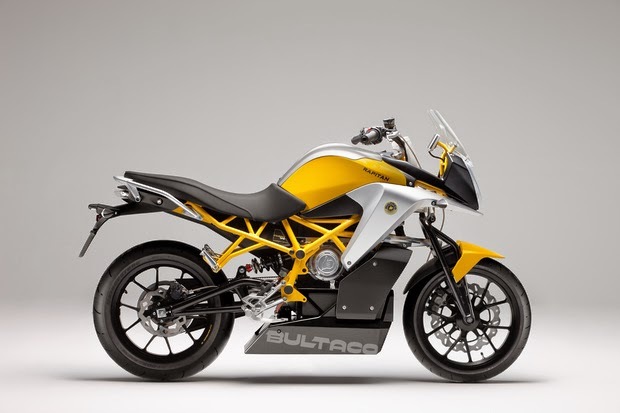 The new Bultaco Motors says they seek two sorts of customers: motorcycle afficianado's, and secondly people with a positive attitude and an interest in new 21st-century solutions for integrated mobility and connectivity. Production is due to begin in 2015, and a sales network in Spain, the U.S., the U.K., Germany and France will be created. Sales will be through Bultaco stores, rather than through independent dealers, according to video's posted by Bultaco. The company is developing multiple bikes. At the heart is the Bultaco Drive Train System (DTS). A primary feature of the DTS is to maximize energy recovery through regenerative braking on the rear wheel. The energy storage system combines a normal lithium-ion battery pack with ultracapacitors to deliver superior performance. In mid-2014 the company expects to launch the Electrical Urbanmotard. They're working on other designs as well, and "no form of propulsion for a two-wheeled vehicle that could be brought to market by 2020 is being discarded." They expect to have 150 people on staff by 2015, have a design center running in Madrid, a factory near Barcelona, and be producing about 2,000 motorcycles a year. Nick Schoeps, Lead Project Engineer: He worked as the Chief Engineer at the company MotoCzysz in Portland (USA), and is a four-time winner of the TTZero race held on the Isle of Man only for zero-emissions motorcycles. He is an expert in electrical propulsion systems and battery design. Hmmmm... The technology and team isn't just coming from LGN Tech. Nowhere does the press material say Bultaco worked with MotoCzysz to adopt the MotoCzysz drive train components. On the one hand the staffing and sales projections seem - uh - ambitious. But, Barcelona is gung-ho for two-wheelers, and is especially gung-ho for electric two-wheelers. It seems likely they can sell quite a few bikes just in Spain. 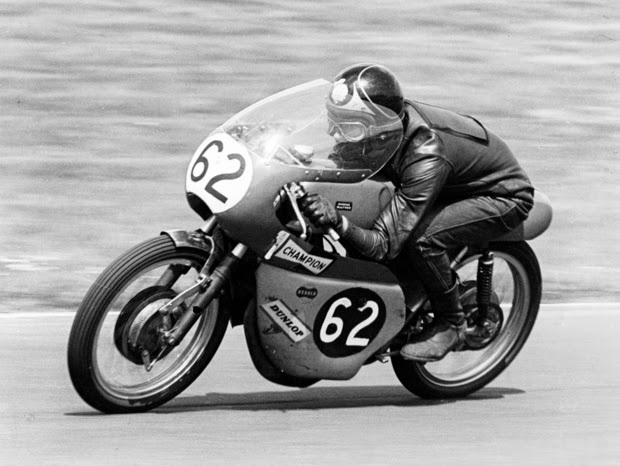 Bultaco's roots is in validating motorcycle design at the race track. Nowhere does the press material say when or where Bultaco will go racing, but we should expect them to do so soon.